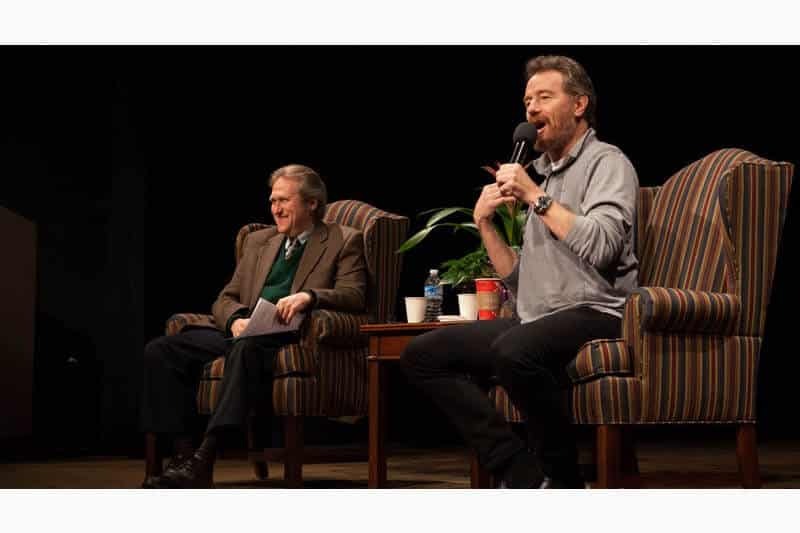 Actor/Director Bryan Cranston (Breaking Bad) being interviewed by Steve Cuden live at Point Park University. 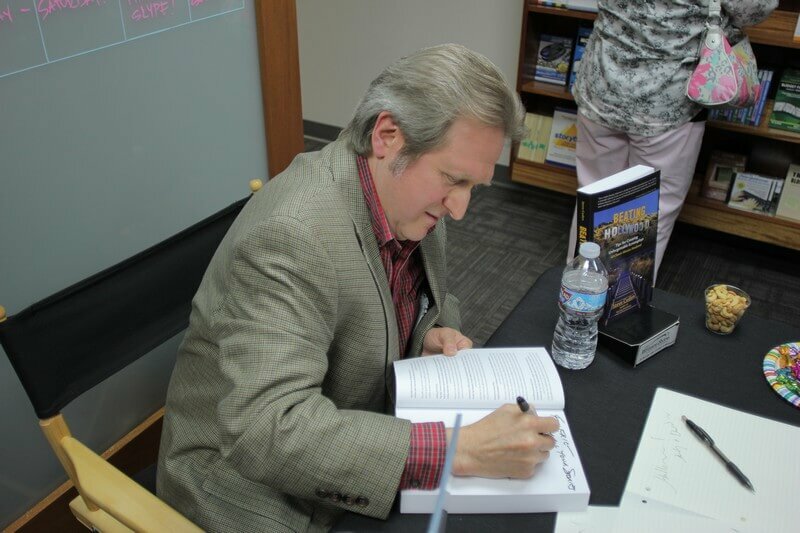 Beating Hollywood book signing at The Writers Store, May 2016. 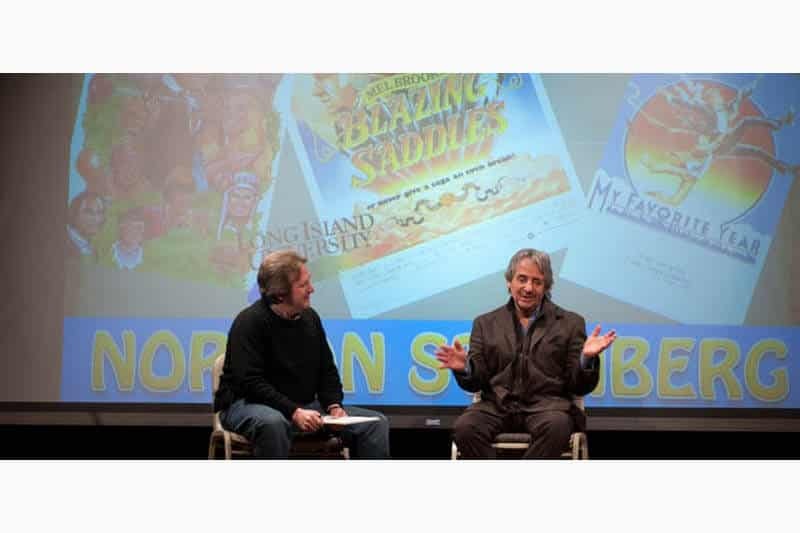 Writer-Producer-Director Norman Steinberg (Blazing Saddles, My Favorite Year) interviewed by Steve Cuden live at Point Park University. 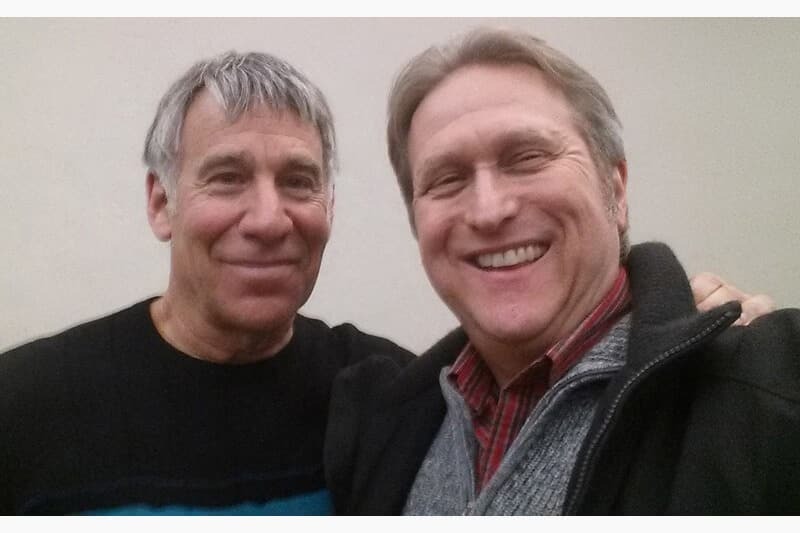 With legendary composer/lyricist, Stephen Schwartz (Godspell, Pippin, Wicked, Pocahontas, The Hunchback of Notre Dame, Enchanted). Writer-Director-Actor Rusty Cundieff interviewed by Steve Cuden live at Point Park University. 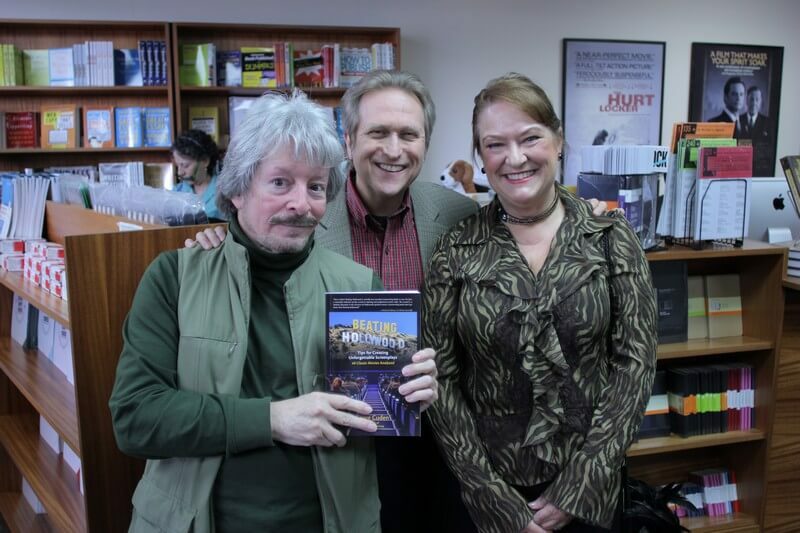 With Brooks Wachtel and Wendy Pini at the Beating Hollywood book signing at The Writers Store, May 2016. 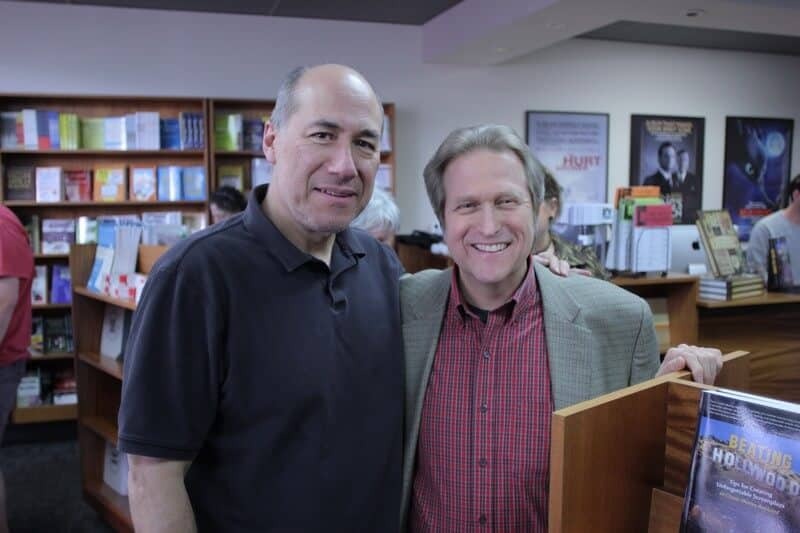 With Javier Grajeda at the Beating Hollywood book signing at The Writers Store, May 2016. 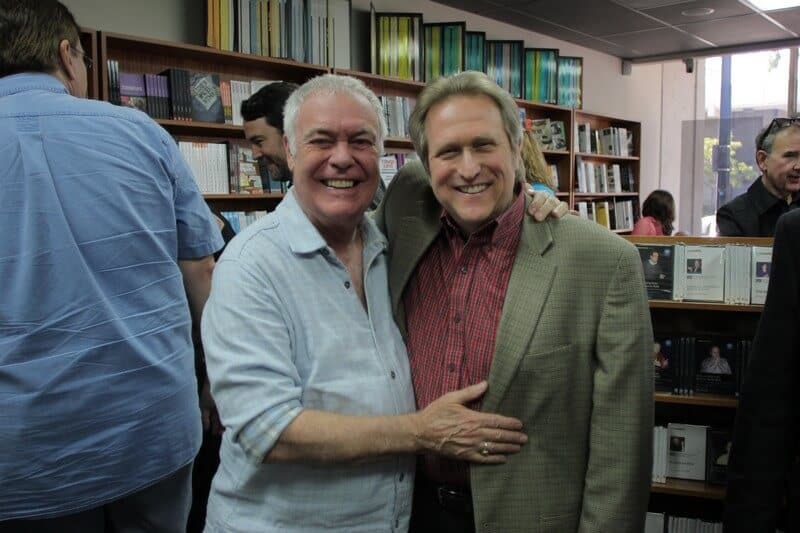 With Paul Chitlik at the Beating Hollywood book signing at The Writers Store, May 2016. That Get Standing Ovations, and Beating Hollywood: Tips for Creating Unforgettable Screenplays. He directed and co-produced the multi-award-winning horror-comedy movie, Lucky, for which he won the award for Best Director at the Nodance Film Festival. Lucky also won the awards for Best Feature at Shriekfest in L.A., The New York City Horror Film Festival, MicroCineFest in Baltimore, and the Weekend of Fear in Nuremberg, Germany. 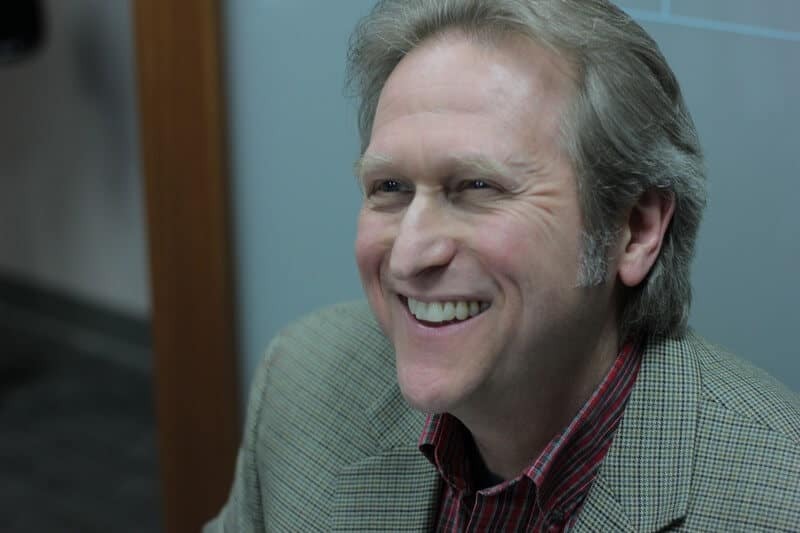 As an Assistant Professor of Screenwriting at Point Park University, Steve is proud to teach numerous talented students about how to tell unforgettable stories for the screen. 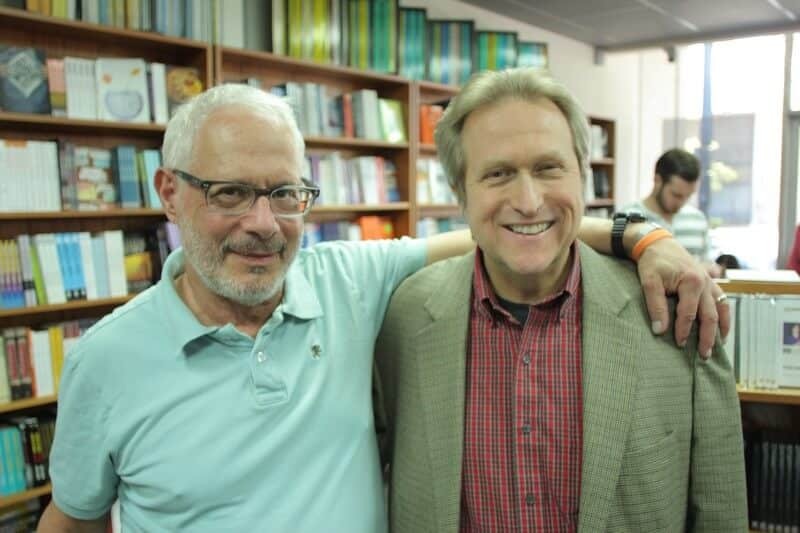 There are few writer/storytellers who know their craft as well as my friend and mentor, Steve Cuden. 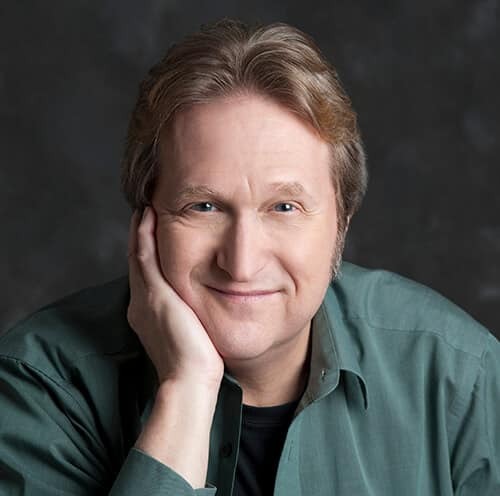 There are even fewer who can communicate as well as he does the joys, the challenges, the heady thrill of the high-wire act known as writing for musical theater. 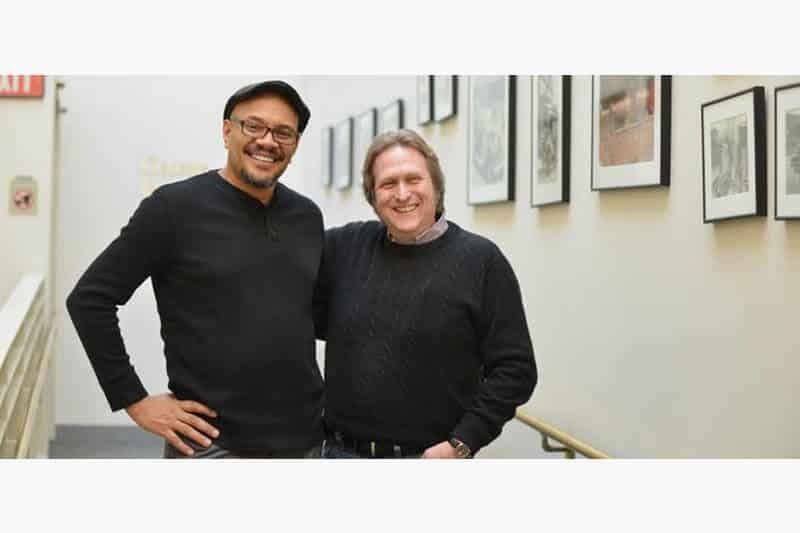 There are few things more daunting than writing a screenplay and Steve Cuden understands this, having worked in the trenches as well as the classroom. Steve Cuden is a consummate professional who has actually faced that blank page before typing ‘FADE IN.’ His advice is the kind of practical, thoughtful, and intelligent help that only comes from real writing experience.